BEIJING — China is developing an advanced new spaceship capable of both flying in low-Earth orbit and landing on the moon, according to state media, in another bold step for a space program that equaled the U.S. in number of rocket launches last year. The newspaper Science and Technology Daily cited spaceship engineer Zhang Bainian as saying the new craft would be recoverable and have room for multiple astronauts. While no other details were given in the Tuesday report, Zhang raised as a comparison the Orion spacecraft being developed by NASA and the European Space Agency. The agency hopes Orion will carry astronauts into space by 2023. China's Shenzhou space capsule used on all six of its crewed missions is based on Russia's Soyuz and is capable of carrying three astronauts in its re-entry module. 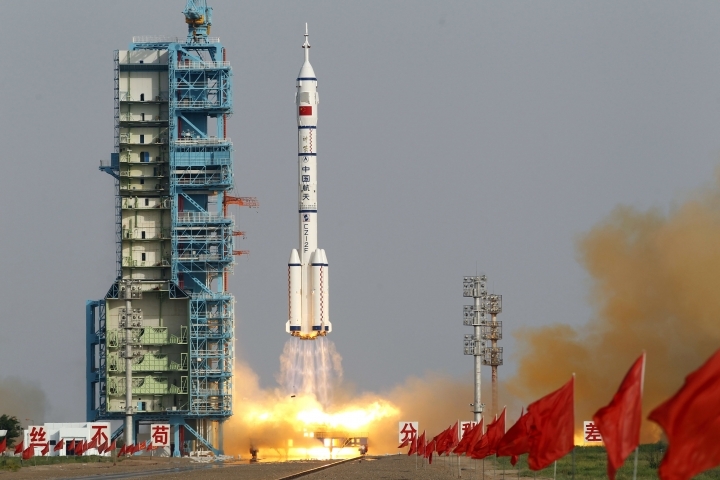 China came late to crewed space flight, launching its first man into space in 2003, but has advanced rapidly since then. In its most recent crewed mission, two astronauts spent a month aboard a Chinese space station late last year. A fully functioning, permanently crewed space station is on course to begin operations in around five years and a manned lunar mission has been suggested for the future. Now firmly established among the big three in space travel, China last year moved ahead of Russia for the first time in number of rocket launches and equaled the United States at 22, according to Harvard University astrophysicist Jonathan McDowell. Russia had 17 launches, while the U.S. might have had several more if Space X's Falcon 9 rocket fleet hadn't been grounded following a Sept. 1 launchpad explosion.